Every time I think I'm ready to relegate Grand Theft Auto V to the video game archive closet, another insane video stunt montage is released, and I'm drawn right back in. 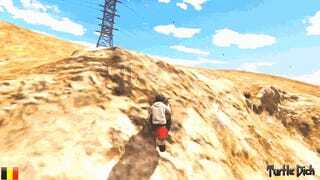 The Nomad Union crew have established themselves as masters of crazy GTA V stunts, pulling off amazing feats to aerial acrobatics that no vehicle, even one powered by Rockstar's wacky physics, should be able to perform. Either that, or they just record hours of relatively boring footage and stitch together the good bits. Either way, they are performing a service.